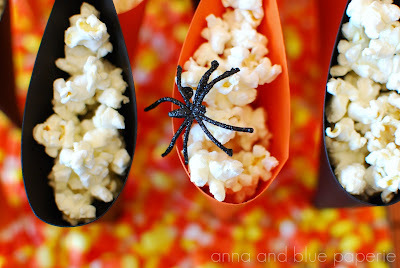 Want a unique way to serve Halloween treats for your holiday parties this year? 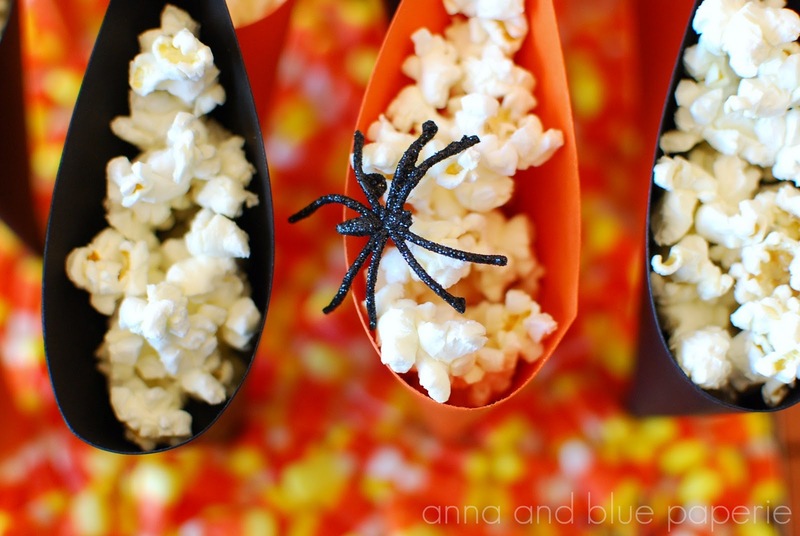 Create popcorn-filled paper cones displayed on a "bed" of candy corn! Treat cones are so popular and perfect for parties, play dates, holidays and more! Now you too can create them with my super easy step-by-step tutorial. To see other ways of using treat cones click HERE. Roll the paper into cones and secure with tape/glue. Leave a small hole open at the bottom of each cone, just big enough to fit over a lollipop stick. Cut and place a Styrofoam sheet so that it fits snugly inside a decorated box, tray or vessel. 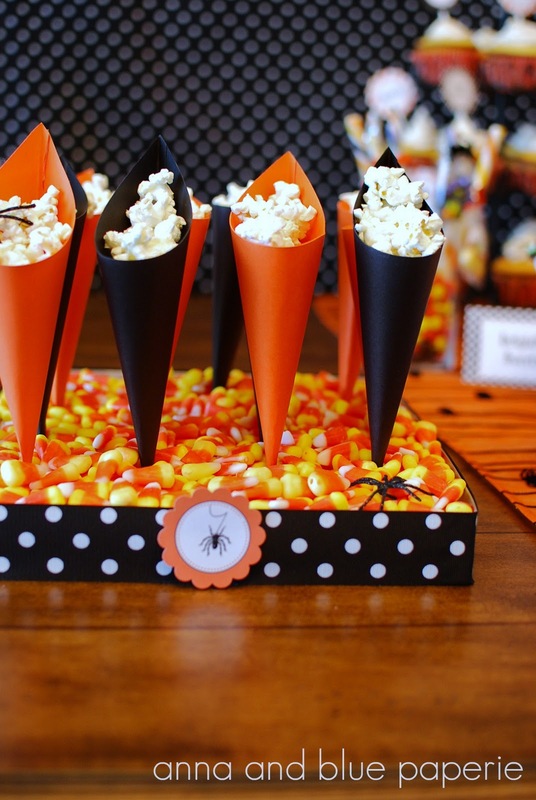 Insert lollipop sticks into the Styrofoam in rows, then cover the top of the foam completely with candy corn. Fill paper cones with flavored popcorn or kettle-corn (or a similar treat), then slip the filled cones over the lollipop sticks, which will give them the illusion of standing up on their own on top of the candy corn! thanks for the tutorial. i never realized how to make them stay stable on the table. I was just trying to figure out how to do this for my son's bday party this weekend so THANK YOU!